The best way to go about buying a longboard is to go off of what style of riding you will primarily be doing. 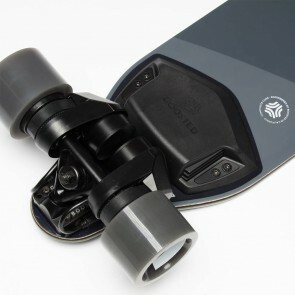 There are Cruising and Carving Boards which are ideal for the everyday longboard rider. If you just want to have fun and skate around town that's your best bet. There are Downhill Longboards for those speed demons. Freeriding Boards feature longboarding styles that include bombing down hills and sliding sideways like a snowboard. Then finally there are Freestyle Boards which are made to do Skateboard tricks on a Longboard. Carving / Cruising - This the most common of the longboarding styles. These boards are for the rider that simply wants to get from point A to point B. They are designed for the simple joy of riding. For those of you seeking your first board, this is a good place to start. These boards tend to be shaped like surfboards. Some of them are drop through to provide for more stability and control. Others are flexible to provide for a more comfortable ride. Downhill - For the aggressive riders that seek to push the maximum speed possible on a piece of wood. 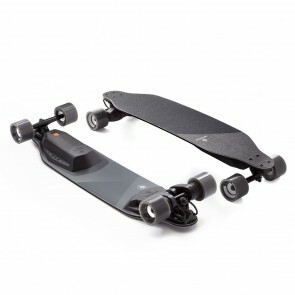 These boards have maximum stability for riders that wish to push in to the 35mph or faster range. These boards have aggressive concave and are generally dropped very low to the ground for added stability at high speeds. Freeride - This DOES NOT mean just buying a longboard and riding around for fun. Freeride is the highly skilled, highly challenging act or riding downhill and drifting your board sideways. Power sliding down hills can be very challenging, but it is also extremely rewarding. These boards tend to have aggressive concave to keep your feet locked into the board. Most of these boards are top mount boards to grant more maneuverabiity. Freestyle - This is the skateboard longboard crossover style. Freestyle riding is the process of doing skateboard tricks on a longboard. This includes riding in the skate park, dancing on your board, or simply busting an ollie. Most of these boards will have kick tails. Some are shaped like extremely long skateboards while others take on similar shapes to the cruising boards. Explore the various longboarding styles or contact us today if you have any questions about buying a longboard!